This weekend I have been configuring a rather small, relatively minimal desktop using openbox. 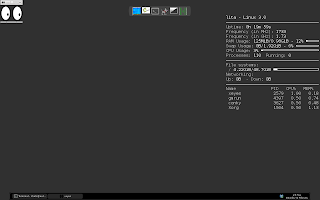 I have also installed a bunch of applications to work with this gorgeous window manager. 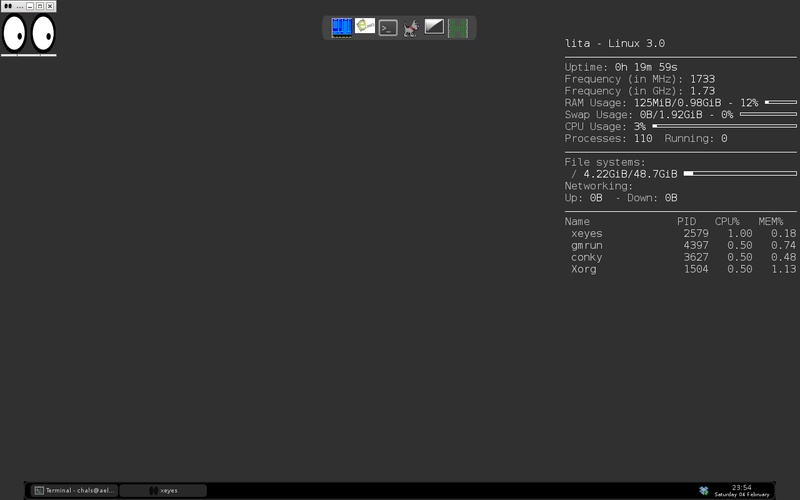 Among them: gmrun, wbar, tint2, conky ... I have also set Midori as default browser. In my first tests I installed rox-filer, but since I intend to thoroughly try rox desktop someday I removed rox-filer and I left the good old midnight commander as file manager.